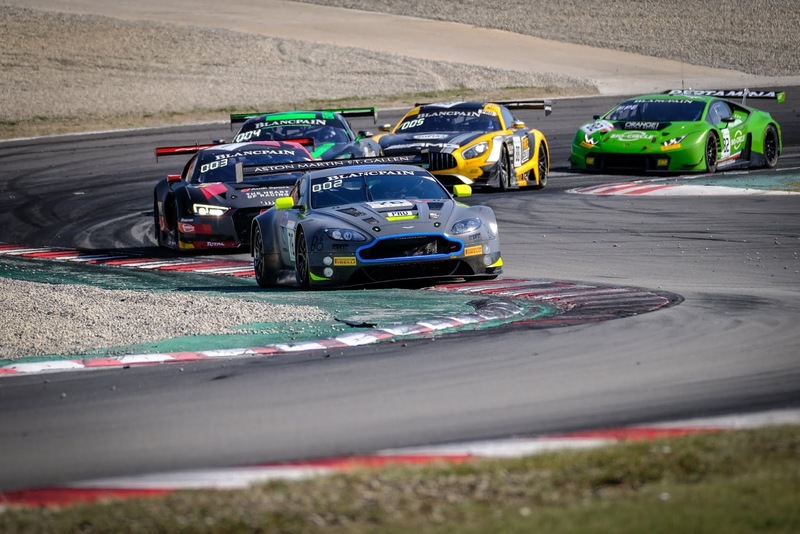 Yesterday saw the final round take place of the 2018 Blancpain GT Series from the Circuit de Barcelona - Catalunya with season regulars Oman Racing with TF Sport and R-Motorsport seeing out what could only be described as a frustrating campaign. With just the solitary race win for the #76 R-Motorpsort car of Nicki Thiim, Jake Dennis and Mathieu Vaxiviere earlier in the year at Silverstone there has been little for either team to shout about as incidents and injuries most foul have hobbled all three cars from finishing any high than they have despite their (sometimes heroic) efforts both on track and in the garage. Unfortunately prior commitments kept us from watching yesterdays race live but in another cruel twist of fate, what happened to the #76 car in Spain sadly summed up the season for all. 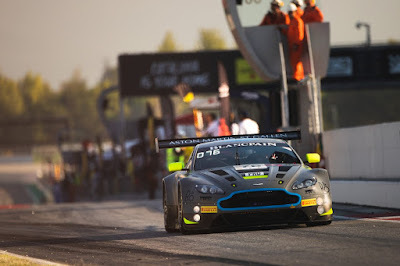 With luck from an earlier race control decision placing Thiim's car on the second row of the grid after a debacle in Qualifying, the first two hours of the race appeared that he and his team could well come away with another overall podium in their final Blancpain event with the soon to be replaced V12 Vantage GT3. Its was never going to be easy for them admittedly as the queue behind the #76 grew longer but that simply paid testament to the driving ability of both Thiim and Dennis as the latter passed the reign over to Vaxiviere for the final hour of the race. Full Course Yellows and Safety Car periods gave the opportunity for the pack to move back up to the then race dominating Mercedes on many occasions but it also served to place the chasing pack firmly onto the rear bumper of the grey liveried car with no clear passage past but that eventually led to the #1 Audi taking matters into their own hands in a desperate move to get ahead. Side swiping the Frenchman off the track and into the gravel at Turn 7 the car did rejoin the circuit and continued for a time but the resulting incident damage that would soon end the car's race with just twenty minutes remaining. Heartbreaking it was for all but the the Swiss race team and their Arden colleagues can hold their heads high with their (at times) superb displays in what was only their inaugural season within the Blancpain GT Series and with a platform that is only now about to be replaced by Aston Martin Racing's 2019 specification, turbo charged car. What has been said about R-Motorpsort can also be copied into the season report for Oman Racing and their TF Sport colleagues as Ahmad Al Harthy stepped up from his 2017 Pro-Am crown to race in the all new and ultra competitive competitive Silver Cup class alongside Euan McKay and Charlie Eastwood. 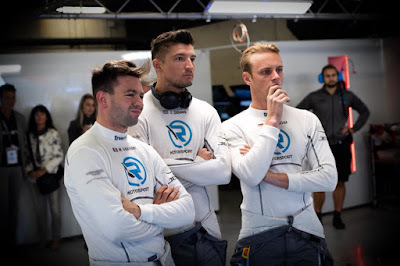 Without checking through the annuals of the season, the #97 car finished the race just five times in the points - not a discredit to the ability of the drivers (far from it) but just a realisation of the fact as to just how hard and competitive the series has become throughout the permitted class range. It just feels like time after time the car was 'removed' from the race by other peoples over exuberance and neglect whilst the Oman crew had quietly gone about the ways and all on top of their own bad luck and misfortune like at the Spa 24 when accident damage forced a very early retirement from the proceedings. 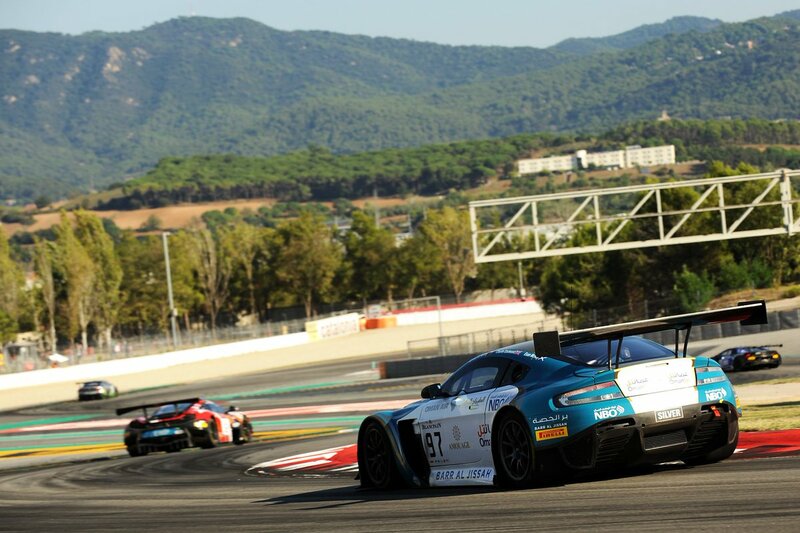 Despite all of this 'character building' we just hope that both teams will come back to the series next year - older, wiser and with 'elbows' the same width and strength as others have given them throughout this season so we could just see where this new Vantage GT3 finds its natural position in this super competitive pack! 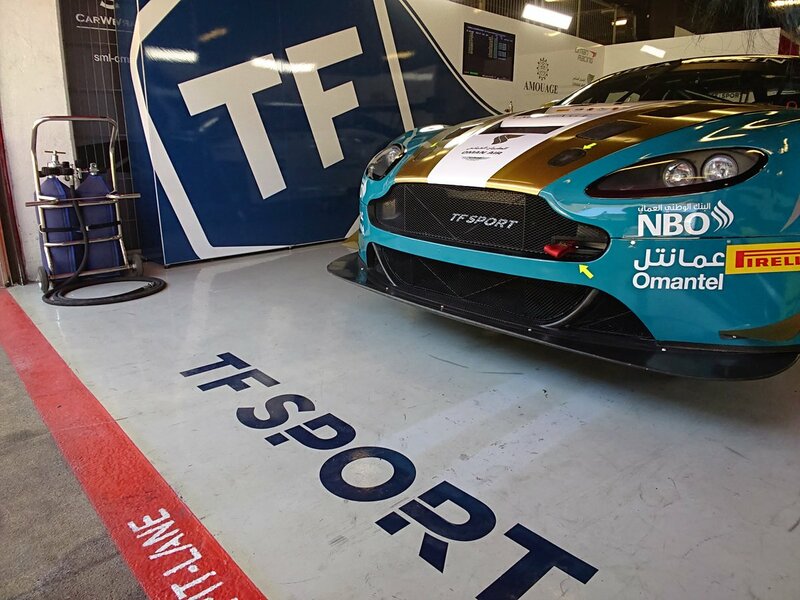 Not all is over for either team's V12 Vantage's as the #97 Oman Racing car will re-emerge over the winter in the Asian Le Mans Series with the Red River crew whilst R-Motorsport have confirmed slots in both the 24H Series event at the Circuit of the Americas next month as well as the 12hours of Bathurst in early February next year.